Born in 1931, Reeves studied at Cheltenham School of Art and the Royal College of Art, London, prior to moving to Glasgow in 1954, taking up his post at Glasgow School of Art. He has since become an important part of the Contemporary British Art Movement, leading the way in British printmaking today. 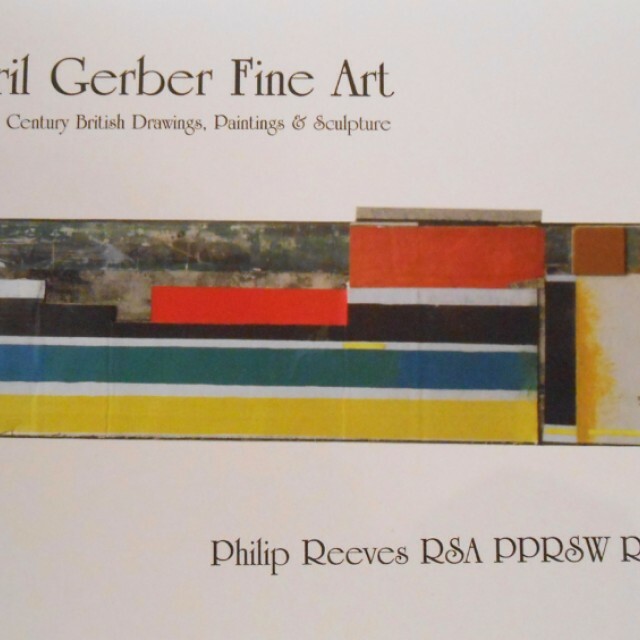 In this exhibition we are privileged to include alongside the new collages, some of Philip's very early paintings and drawings from the 40's and 50's. Here we can see his fine draughtsmanship, attention to detail and the strong compositional elements, which are the essence of the abstract forms he creates today. Reeves talks of his fascination, when he first came to the city, with details such as tiling on the walls of Glasgow's public wash rooms. It is this ability to notice the composition, fine detail and construction of the 'everyday' that Philip has taken beyond the source of visual stimulus to hone and develop an eloquent and personal language of his own. The new works are as fresh and exciting in their apparent spontaneity as the mark making of the early works. When juxtaposed, we have a fascinating glimpse of Philip's method of selecting and distilling form into uncluttered abstractions in which he reconstructs fragments of moments in time and places. Philip Reeves is an important artist and craftsman continually creating, finding new subjects, and fresh ways of expressing long established idea's. Here we have a direct insight into the mind's eye of a Modern Master.